2009 GTX 550 2 up touring, approx 4900kms, original owner in excellent condition. mostly groomed trail riding central area. always stored in enclosed trailer and stored inside during summer. 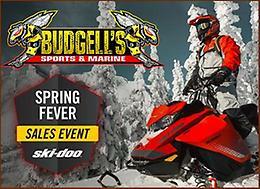 For Sale: 2009 Ski-Doo Renegade 1200 4-tec. Approximately 4600 miles. Comes with removable 2-up seat, seat cone for storage (not shown in pics), BRP soft tunnel bag (not in pics) and current trail sticker. Incredible power and great fuel economy. In good condition and works flawlessly. Email, or text 639-4551 to inquire. 2006 Renegade 800. All bearings, ball-joints and rod ends freshened up. Studded track, engine sounds smooth and runs very strong. New battery installed 2 weeks ago. NEEDS NOTHING! Lady driven and previous owner was lady also. Only reason for posting! Bought new skidoo.